Hope College is home to a nationally accredited dance department. 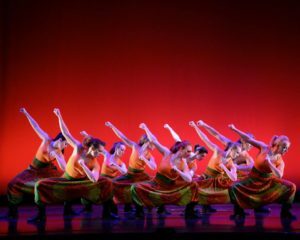 The college’s Dance Department is unique in that the student is nurtured technically, academically, and spiritually. However, because of the misunderstood nature of dance, the relationship between Hope College’s Dance Department and its religious values as a Reformed tradition college is complex. For example, when dance was first taught in the late 1960s Hope’s administration could not bring themselves to pay someone a salary for teaching dance classes. Thus, for two years Maxine Debruyn, the founder of Hope’s Dance Department, was paid in paintings. However, with time, attitudes changed and the program was allowed to grow. Today, Hope’s Dance Department is an integral part of the campus community.